#1,591 Dream of the 90s. – Laurel Mercantile Co.
Now reading: #1,591 Dream of the 90s. Remember that time I brought back overalls? It felt so 90s. So right. 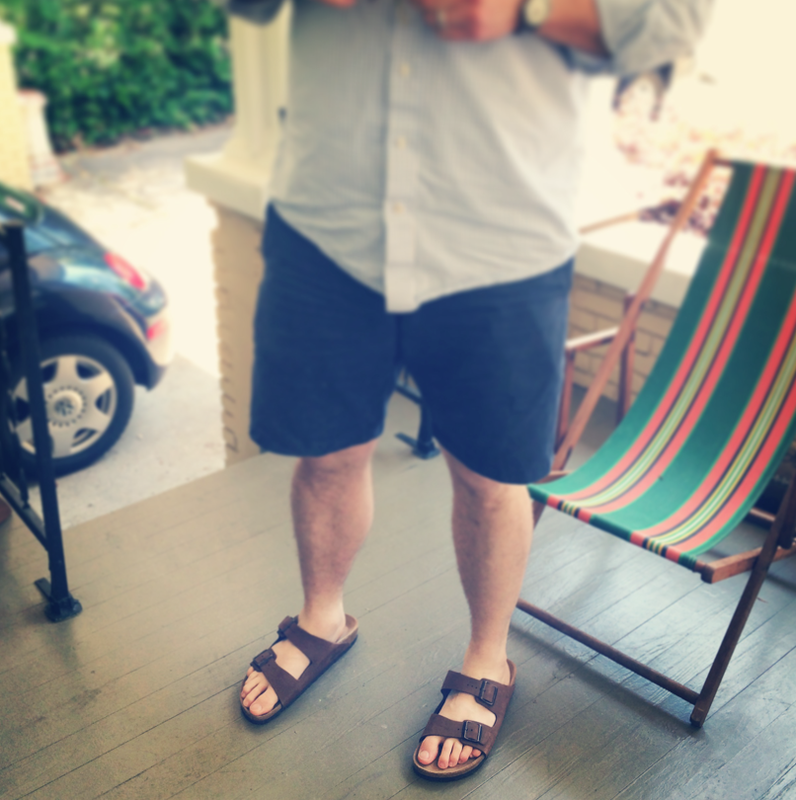 Ben’s doing his part to keep the dream of the 90s alive in Laurel by breaking in a fresh new pair of 2-strap Birkenstocks. I sort of want some now. Also, while we were in Canton we stopped at my mom’s cousin Michael’s pharmacy that also sells a few home goods where I found these sorta cute outdoor cushions. They were sold in sets of 2 for 10 bucks (!) 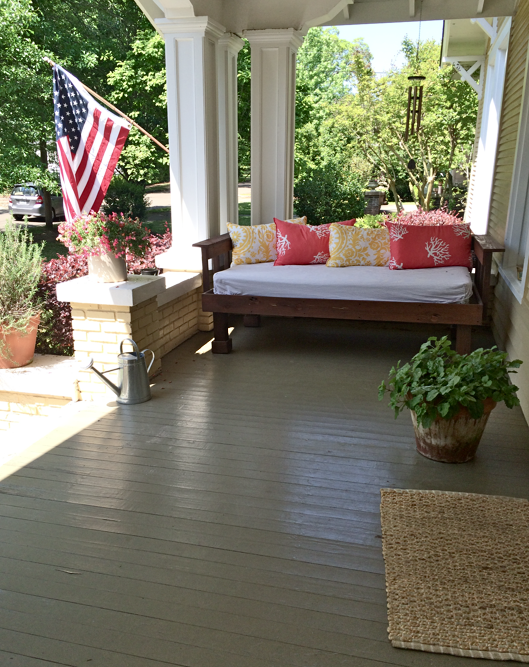 and there were about a million different patterns available on this canvas fabric, and I just settled on the two colors that match the stripes on our porch chairs. For $20, I think I did okay. Right? I had to.